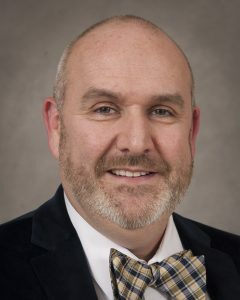 Brad Johnson (TEHE) was recently recognized by the ACPA-College Student Educators International (ACPA) as a 2019 recipient of the Annuit Coeptis Senior Professional Award. The Annuit Coeptis Awards honors professionals at a dinner where there can be wide-ranging discussion and exchange about professional issues. These awards were created by ACPA to honor and celebrate the lives of three former colleagues who loved to challenge their contemporary and junior colleagues in the spirit of personal and professional sharing, good humor, and intellectual debate. Senior Professional Award recipients must show evidence of contributions to the field of Student Affairs with regard to administrative service or teaching, research and publication, professional association service, and demonstrated leadership. In addition, recipients must show evidence of their commitment to mentoring and encouraging young Student Affairs professionals. Brad will formally receive this recognition in March at the annual ACPA Conference, which will be held in Boston. Additionally, Dr. Symphony Oxendine, two-time HED alumna (M.Ed. 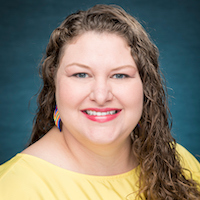 & Ph.D.) and former visiting lecturer with the HED program, received the Annuit Coeptis Emerging Professional Award from ACPA and will also be formally recognized and honored at the ACPA annual conference in March. This entry was posted in SOE, TEHE and tagged brad johnson, teacher education and higher education, tehe, uncg faculty award, uncg soe. Bookmark the permalink.